“Who is a Corporate Housing Real Estate Landlord?” is a question we get a lot at CHBO. Real Estate investors want to know if they would be a successful landlord and if their property would be a good match for the needs of the business travel. 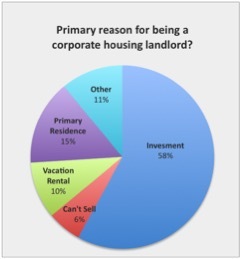 The following is what we found in the CHBO Annual Corporate Housing Real Estate Survey. Property Locations – Where is your property located? We received hundreds of survey responses from property owners and real estate managers across the United States including 32 states and the District of Columbia. California: 22% (down 2% from 2014). Colorado: 12% (up 1% from 2014). Texas: 10% (up 2% from 2014). Washington: 5% (down 3% from 2014). Georgia: 5% (replacing Louisiana at #6). Number of Properties – How many rental properties do you own? 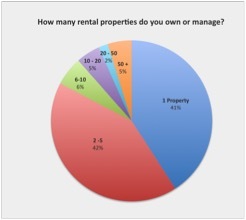 41% of respondents say they have one rental property (up 4% from 2014). Meanwhile, 42% report they have two to five properties (up from 39% in 2014). We also saw a 4% decrease in respondents who have six or more properties. Perhaps the most interesting trend to note is that over the last six years, the numbers have generally stayed the same. (The one exception was in 2011. We saw a 6% increase in property owners with one rental unit, but we believe that may have been due to the number of “Accidental Landlords” who entered the market at that time due to the economy). 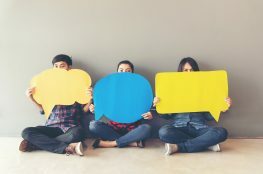 Given that more than eight in 10 survey respondents say they only have one to five rental units, the responses in this annual report truly reflect the independent corporate housing real estate segment. 65% of respondents say they’ve been furnished landlords for four years or less. This is the first increase since 2012. As the real estate market stabilizes, new landlords are entering the market as an investment. 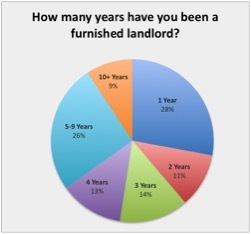 Only 35% of respondents say they’ve been furnished landlords for five years or more. This is the first decrease we’ve seen in this group after several years of growth. We believe this is the result of experienced landlords selling properties that they’ve owned for a while at a profit. An interesting trend… This is the second year since we started this survey that new landlords (landlords “for one year”) increased. 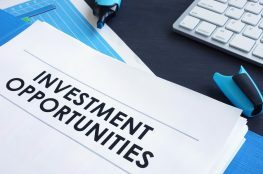 In last year’s annual report, we predicted that if interest rates remained stable in 2015, we should see a “possible increase in new investors who are willing to enter the real estate investment market”. Guess what? Our prediction was correct. We are now seeing new investors getting into the corporate housing real estate market. 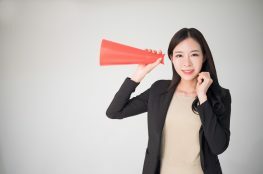 Understanding who is a typical corporate housing landlord and how current real estate trends affect decisions can help you better understand how you and your rental property fit into this industry. Once again, the majority of respondents tell us they are landlords for investment purposes. The continuing trend in the “other reason” category appears to be “partial landlords”. We define partial landlords as property owners who have a fully functional, stand-alone guesthouse or apartment suite on the same site as their primary residence. Traditionally, this may have been referred to as an in-law apartment. (Please note, this is different than the “share economy” in which property owners rent out a room within their residence, sharing the same space as their renter). Learn more Corporate Housing Real Estate Trends.